Heating Kamloops | Tri-Rom Industries Ltd. Installation, repair and maintenance of both tankless and regular water heaters now! At Tri-Rom Industries Ltd., our team has handled cooling and Kamloops heating repairs and installations for clients since 1995. We offer affordable pricing, prompt service and a 30-day warranty on our labour. We are experienced in meeting the needs of both residential and commercial clients. Many busy companies and families in the community depend on us for all their Kamloops heating needs and to keep their vital machinery in top working order. We would be happy to offer you an onsite consultation and assessment of your heating and cooling needs. Whether you need service for your furnace, air conditioner, commercial refrigeration or custom ductwork, call to talk to us today! In addition to our other services, our North Shore business also offers a preventive maintenance package to keep your furnace or other system operating at peak efficiency. Along with being a Carrier® Dealer, Tri-Rom Industries Ltd. is proud to announce we are now an Authorized Canadian Continental® dealer. 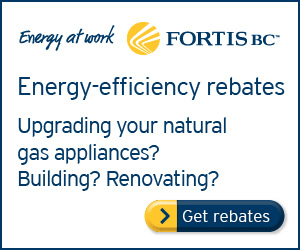 We have the latest and most efficient furnaces for heating in Kamloops and area. Contact us today for a free estimate on new installations of refrigeration systems, air conditioning and heating in Kamloops and the surrounding area.